The UPR Pro-Series ™ Anti-Roll Bar Kit for Tailpipes is part of the Pro-Series ™ Suspension line used by all our racers in eliminating body roll and stabilizing the car down the track. Our Anti Roll Bar features roller bearings and solid 1 1/4" bar to ensure the smoothest reacting kit available! Bar assembly is welded to allow clearance for factory or factory style tailpipes. 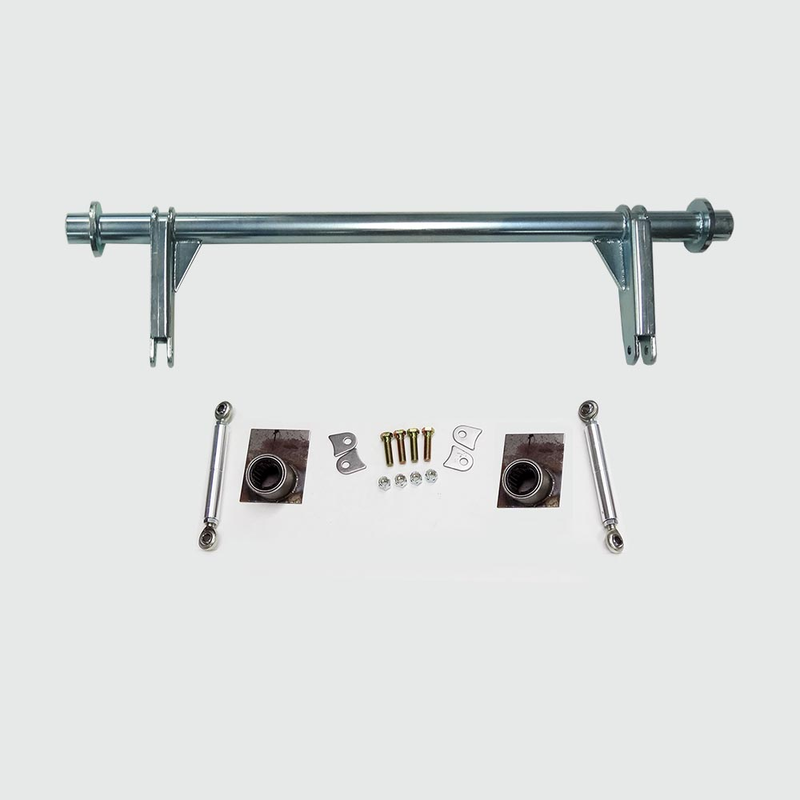 Anti-roll bar is designed for drag race use only. Links must be disconnected while driving on street to prevent damage. Click here to see before and after results! 1979 1980 1981 1982 1983 1984 1985 1986 1987 1988 1989 1990 1991 1992 1993 1994 1995 1996 1997 1998 1999 2000 2001 2002 2003 2004 LX GT GTS Mustang Mach 1 Bullitt Cobra* Shelby Roush Saleen & Steeda Vehicles. * Does not work on cars with IRS. No one else can stack up to the bold clean styling of our aftermarket Billet dress ups, Street Strip & Racing Suspension & Performance Parts for your late model American Muscle Car!